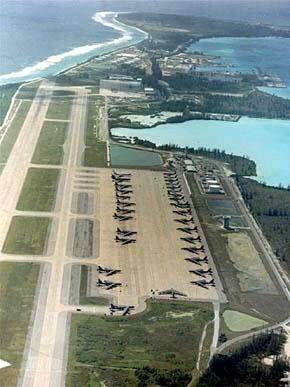 So I still wonder what did happen on Diego Garcia on December 26? To put it bluntly: Do the US armed forces still possess a B52 strategic bomber force or not? Since it is unnatural for her to back down from a direct discussion with you, perhaps it's time you took the bull by the horns and offered to discuss this with her publicly? Or are you perhaps hesitant to tangle directly with a professor with Lipstadt's international reputation? I think she would probably jump at the chance to discuss this with you on radio. I reply: "You are wrong. Lipstadt has always stated since the 1990s that she would never debate with Holocaust 'deniers'. That is one reason why I forced her into court. There she adopted the same stance. She could have overruled her lawyers at any time, I was suing her, not them . They knew she would lose the case for them the moment she opened her ugly mouth." As I say later in the evening, in Atlanta, when Lipstadt bleats that she would dearly have loved to testify in person, if only her lawyers had not told her not to, that is like my saying I was eager all along to fight Mike Tyson, but my doctors advised me against. Set out for Atlanta around 8 a.m., and drive hard all morning and afternoon. Arrive at the Diner at 4:10 pm, and set up; a large camera crew is there setting up to film the evening for C-Span. Eight men, two cameras. Around thirty or forty of my guests show up, -- the people I identify in my opening remarks as my Atlanta Support Group -- and they fill the room nicely for dinner. I delivered a reasonable talk on the Lipstadt Trial, which I have been mulling over in my heard for the last 3,500 miles, i.e. the last ten days' driving. Sam has advised me not to describe her as a simpleton; no great victories over those, let alone defeats. He is polite about the talk afterwards. I forget to ask the crew for a tape. Off again way after midnight, after reloading the red Suburban. Arrived at Adairsville (Georgia) at 2 a.m., after turning down numerous Asian-run fleapit hotels on the way. THE credit card given me last night in Louisville by one Robert Wr. to charge for books, etc., has been declined; that's a curse. $65 out of pocket over that. Interesting news reports from Germany that two young German "scholars" have discovered that manuscript written by two of Hitler's closest staff, Otto Günsche (with me, above, at right in 1982) and Heinz Linge, for their KGB interrogators. Amazing how often such things get discovered, and rediscovered, and then rediscovered all over again. The German publisher, Lübbe, is holding a press conference on this sensational "find" tomorrow. I put both German and British publishers of this document on notice that I got there first, as usual. Kindly make plain in your publicity for the new book on Stalin's Book on Hitler that it was not "first discovered" by the two young German authors, recently, but was used by me in the 1960s in writing my famous Hitler biography "Hitler's War" (latest edition, Millennium Edition, 2002); it was served up to me by a KGB intelligence officer who had access to such items. I checked its authenticity with both Heinz Linge and my friend Otto Günsche, and I donated a copy to the Institut für Zeitgeschichte in Munich, where it has been part of the Irving Collection since the 1980s. No doubt you have obtained permission to use the copyright in the document from the families of Linge and Günsche. The book has been referenced as a source document used by me in every edition of the Hitler biography since the first Hodder & Stoughton edition in 1977 and the German edition two years earlier. Unwitting people who read your publicity may think I was lying, if you persist in calling the two German authors the first to discover and use the document. That would be a very defamatory inference, which no doubt you would wish to avoid making, now that you have been put on notice as to the truth. I write much the same to Verlagsgruppe Lübbe, the German publisher. They have sent out invitations to journalists and Hitler experts to attend their press conference on the book. No doubt their invitation to me got lost in the mail. Würden Sie bitte so nett sein und in ihren Pressemitteilungen entweder die Behauptung unterlassen, Ihr Autore (Die Herausgeber Henrik Eberle und Matthias Uhl, zwei junge Wissenschaftler aus Berlin bzw. Halle/Saale") haben das Dokument entdeckt und als erste veröffentlicht? Oder wenigstens erwähnen, daß ich das Dokument schon 1970 für meine sehr bekannte, 1975 bei Ullstein/Propyläen erschienenem Werk Hitler und seine Feldherren und auch bei sämtlichen späteren Editionen, etwa Hitler's War" (Millennium Edition, 2002) verwendete. Es wurde mir von sowjetischer Seite schon damals, Ende der sechsziger Jahre, zugespielt. Es steht auch ganz eindeutig in dem Quellenapparat des Werkes. Ich habe auch seinerzeit mit Heinz Linge und meinem Freund Otto Günsche ausführlich über die Echtheit und das Entstehen des Dokuments korrespondiert, denn mir stand nur die russische Übersetzung zur Verfügung; ich wollte lieber den deutschen Originaltext verwenden. Die Entdeckung war wenigstens Herrn Günsche schon damals nicht sehr genehm. Wenn Ihr Verlag diese Lage nicht klarstellt, wofür ich um eine Bestätigung bitte, werde ich die Tatsache selber bekanntgeben. Meine Fotokopie des Manuscripts liegt übrigens schon seit Jahrzehnten beim Institut für Zeitgeschichte in München in der Sammlung Irving, mit dem erwähntem Briefwechsel.mit Linge und Günsche." The reporter's question was justified, given that the minimum swell generated by the tsunami, which went on past D-G to devastate Ceylon, was estimated at six feet at that point, and the island's average height is only four feet above sea level. When fully loaded with B2 bombers and B52s and their lethal "assets," the island -- which is one gigantic sea-level airfield, may of course sink a millimeter or two lower. Anyway, I can now draw Mr Powell's attention to this item tucked away on the Internet, entitled Department of Defense News: Contracts for March 10, 2005, which indicates that a small Illinois business, Supply Core Inc., Rockford, Ill , has been awarded a one hundred million dollar contract for "maintenance, repair and operations" works to Diego Garcia etc. Isn't that sum roughly the same as President Bush, after some arm twisting, made available as the US relief contribution to the tsunami- devastated countries?